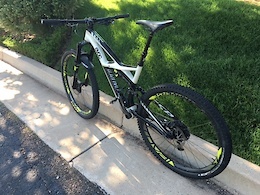 2017 Rockshox Reverb Stealth. 30.9mm clamp diameter, 170mm travel / stroke. I just bled the line and it moves up and down very smoothly and freely. Post is in excellent condition. I am the only owner. There is about 2mm of "squish" when you put weight on the post. You don't even notice it when you ride, most Reverbs have this. 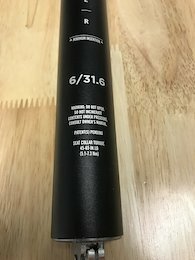 Make me an offer, I no longer need this as all of my mtbs are 31.6mm. 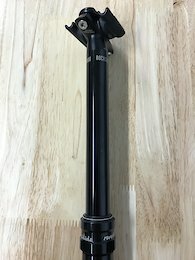 Fox Factory 36 Fit GRIP2 Damper - The fork has now been ridden on (no scratches at all), price reduced! 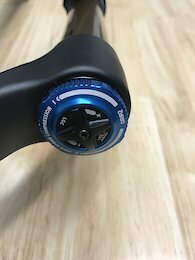 - 160mm Travel - BOOST - 110x15mm - All-New 4-way adjust Fit Grip 2 Damper - FLOAT EVOL air spring - 29" or 27.5+ wheels - 44mm offset - Steer Tube length is about 21cm (plenty long for even an XL frame (which this came off of). ***If you don't like the red/blue decals, I should be able to get the stock Orange and Silver decals FREE SHIPPING in the US. If shipping to Canada, buyer pays shipping (I get decent rates from my work, so shouldn't be too bad). perfectly said, @dingus. @wicol, you are correct. It changes the consistency of the fluid when it is overheated. Just like hydraulic brakes, when the fluid reaches its boiling point, the tiny air bubbles expand into large air bubbles. Also, when a fluid reaches its boiling point and cools back down, it now has broken down some of the fluid, and will reach its boiling point even easier the next time... and the cycle continues. Interesting @bishopsmike. Something definitely sounds off. I can take a much larger drop, land improperly, and not have anywhere near the same experience. It's hard to diagnose the issue without seeing and feeling for myself. However, one place I would start is by letting the air out of the shock, unthreading the air can, and cycling the suspension by pushing down on the seat with your hands. There should be a smooth, consistent pressure. It shouldn't go through the travel on its own, you should have to push down pretty firmly in order to cycle the suspension. Also, the rebound should feel the same, consistent throughout the stroke. As for the tire, at 40psi your shouldn't be hitting rim in a G-out. And if you are, how are you not constantly rolling the tire off the rim in a turn? I will say, I'm not a fan of the control casing tires (especially as a rear). I run a butcher grid up front and slaughter (sometimes butcher) grid rear. The grid casing makes a HUGE difference in both longevity and sidewall strength. Would you say your rider weight (gear, pack, everything) is less than 220lb? I hope I don't sound condescending at all, just want to try and help you have fun on his bike enjoy it! I don't think it's the greatest idea to put this out there without explaining the its relationship with low speed compression damping. Not explaining the balance of the two is just setting riders up for failure. With this info, most riders would think that when they're blowing through their travel in a rock garden, through turns, or down a steep decent, that they need more volume spacers. However, the issue and proper solution often (but not in all cases) lies in the low speed compression damping, either increasing LCD (when using too much of the travel) or decreasing LCD (when not using enough of the travel, and having little small bump sensitivity).